Welcome to week four of our heart rate training diary. 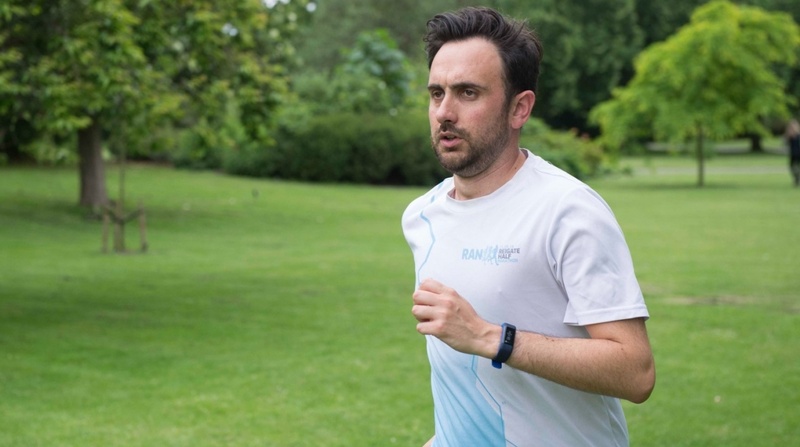 If you're new to the diary the purpose is simple: we're putting the heart rate features of the latest fitness wearables to the test to find out whether harnessing your heart rate is the key to your fitness. And now is a good time to recap what we've learned so far. Over the past few weeks we've learned how hard our heart works at various levels and implemented a training plan (built with Fitbit ambassador Greg Whyte) with weekly goals that focus on training each level. A – Easy Intensity: Able to hold a full conversation. LT – Marathon Race Pace/Moderate Intensity: Just able to hold a conversation. AT1 – ½ Marathon Race Pace/Hard Intensity: Only able to converse in short sentences. AT2 – 10km Race Pace/Very Hard Intensity: Only able to converse in single words. So we enter week three of the schedule and things have ramped up. On the list are two interval sessions (more on that shortly) and two longer runs: the standard 45 minute LT session and a new 75 min session with 30 mins of AT1 HR, which is the half marathon speed I'll be busting out at over 13.3 miles in September. I've been focusing on the results and trials of each particular run in the past, but this week it's the cumulative effect I'd like to focus on. I've been running four times a week for three weeks now, which is a big step up from what I'm used to. And the relentlessness has certainly been evident in my legs, when I've stepped out for a run. In the past this has caused injuries, over-training and fatigue, but I'm convinced that the emphasis on heart rate is actually helping this time around. By focusing on training at the right heart rate, I'm not falling into the usual traps of my training: targeting ever quicker PBs, too many fast runs and flaking out too early when I feel the pressure tell. My past history is full of drop outs, quick 20 minuters and hastily changed plans. By listening to my heart, it's giving me the chance to run the distance, to keep out on the road, to get the miles in my legs. Having said all that, it's the sprint intervals that I'm finding hardest in my regime, and maybe it's no surprise that these runs are the black hole in my heart rate experience. Everything else is well mapped out, but when it comes to intervals, heart rate is out of the window. North of 185, which is the upper end of my AT2 level prescribed by Greg Whyte, and things get tough. Firstly, I'm crap at interval running. This week's fartlek session was good, which was a 45 minute run featuring 15 x 1 minute "fast" followed by 1 min "slow" intervals. I nailed that. But the 6 x 3 min "hard" bursts with 2 mins of rest was brutal. And the problem is the polar opposite of the heart rate benefits I outlined above. Because as we've extensively covered, optical wrist monitors are crap at interval. They take ages to get up to speed, when heart rates rise rapidly they're terrible, and the extra movement of a speed session confounds things further. Why does this matter? Well firstly, I find it impossible to regulate my heart rate at this level. Three minutes is a long time, and I find myself going out too hard, then tailing off in the middle. It makes a mess of my sessions. And secondly, when you're running flat out and your watch is talking about a 165 heart rate, it's somewhat demoralising. So I'm rethinking my strategy for interval. Tactically and technically. Technically, I'm moving to chest strap next week and we will compare the graphs. I want to know what my heart rate really is. We'll see if there is a benefit to heightened accuracy and whether taming my heart rate as we approach MHR can make these sessions more manageable. If not, then it might be that I ditch actively thinking about heart rate during my sessions. That would be a black mark against the heart rate experiment. It might be that I revert to Moov Now for my sessions, which I used before with success. And tactically things might change too. Last week I spoke about the spreadsheet of my runs that I was using to correlate info about when I felt good. Well, it may still be lightweight but there are trends: I run better in the evening and after work. Can heart rate training save my interval performance from the depths of despair? Next week we will find out. I've been talking a lot about my heart rate data, but what about yours? Let us know your LT heart rate using our guide and share it in the comments. Let's face it, we all want to know if we're normal….